I'm going to pause for a mushy post. 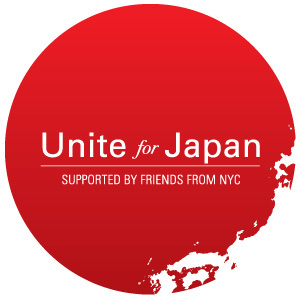 It's a few days post due...but I am so proud of the design work + efforts put forth by Tom for the UNITE FOR JAPAN fundraiser put on by the Unite for Japan team. Tom designed the logo + took pictures of the event this past Saturday. [You'll see me & Amy in there.] They raised $10000 that night and are still accepting donations on their site here. They have currently earned $17K but are looking to make it to $25K. They really have done a phenomenal job with this. On the same note, it makes me sad that it's been about 2 weeks since the disaster and it seems like the media is making it 'old news.' I hope that people can continue to donate in the coming months and keep saying prayers for all the heartache that will be felt in the coming months and years plus.